Actor and comedian Louis C.K. ringside during middleweight world championship fight at Madison Square Garden. Louis C.K. performed Sunday night for this first time since he admitted to sexual misconduct in November 2017. 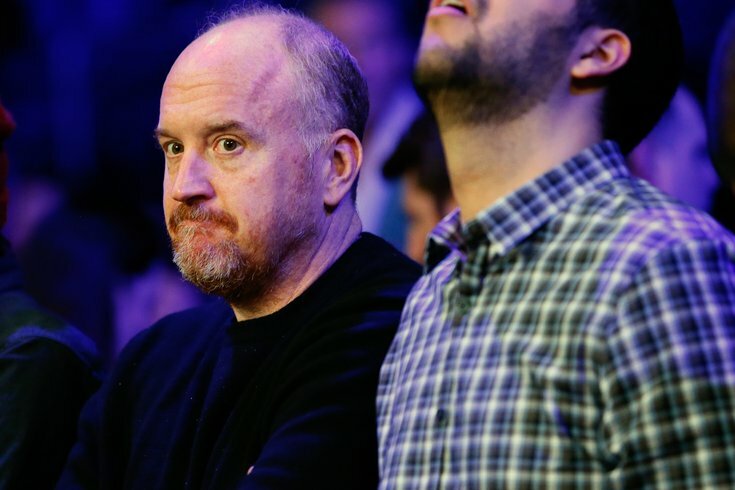 His 15-minute performance was greeted warmly by a sold-out crowd at the Comedy Cellar in New York, a venue which was regularly shown on his former show, "Louie." C.K. was accused by five women of masturbating in front of them without consent. After the accusations came to light, C.K. admitted it was true. His show "Louie" was consequently canceled and his film, "I Love You, Daddy" was never released. While there were some forgiving people of C.K. 's return, including Michael Che and Michael Ian Black, several comedians and stars were upset with his foray back into comedy. This included Kathy Griffin, Whitney Cummings, Judd Apatow, and Padma Lakshmi.